The commercial ended with a brief glimpse of Cadillac's CT6 large sedan -- still a month away from its formal unveiling -- rolling through a dark, rainy Manhattan streetscape. DETROIT -- The commercials that Cadillac teed up for the Oscars broadcast Sunday night could be seen as simply the first step in what brand boss Johan de Nysschen has described as a "journey" to luxury prominence. Or maybe it's the crushing of the first batch of grapes -- de Nysschen has also likened Cadillac's comeback to "crafting a fine wine." Whatever the analogy, it's clear that Cadillac's new "Dare Greatly" advertising theme carries a heavier load of expectations than most campaigns. Since de Nysschen arrived in August, he and marketing chief Uwe Ellinghaus have talked frequently about Cadillac's myriad problems and what needs to be fixed. They and their bosses at General Motors have made clear that reinventing Cadillac's stodgy image is the top priority. 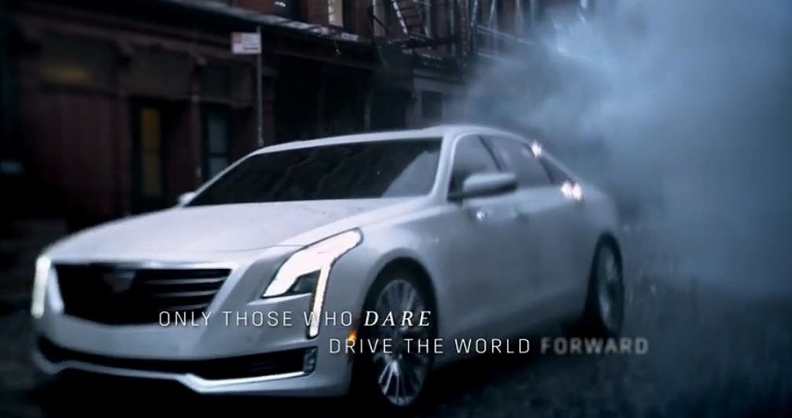 The new advertising is some of the first tangible evidence of the new vision for Cadillac. Reinvention is a major theme. One of the spots planned for the Oscar night debut featured five innovators, mostly in creative fields, who have done the unexpected in game-changing ways. One was Apple Inc. co-founder Steve Wozniak, who appeared with a subtitle: "How dare a college dropout invent the personal computer?" Another, fashion designer Jason Wu, said his parents "dared to let me be different." The ad asks: "How dare a fashion intern become an arbiter of style?" The commercial ends with a brief glimpse of Cadillac's CT6 large sedan -- still a month away from its formal unveiling -- rolling through a dark, rainy Manhattan streetscape. Another spot strikes a contemplative mood while quoting from a speech by Teddy Roosevelt, anchored by the "Dare Greatly" tag line. 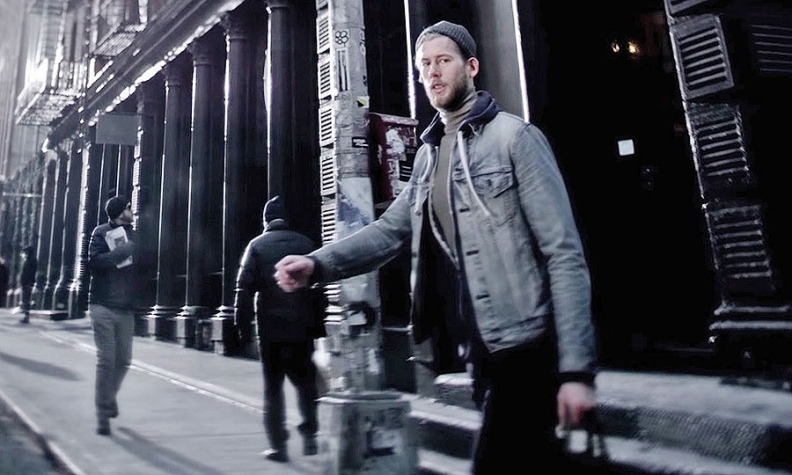 It splices together mostly black-and-white snippets of New York street scenes. The entire voiceover is from a speech given by Roosevelt in Paris in 1910. "It is not the critic who counts. Not the man who points out how the strong man stumbles," the voiceover says. "The credit belongs to the man who is actually in the arena, whose face is marred by dust and sweat and blood." It continues: "Who at the best in the end knows the triumph of high achievement, and at the worst, if he fails, at least fails while daring greatly." Expectations are high for the campaign, created by advertising agency Publicis Worldwide. Last month, Ellinghaus told Automotive News that he was after a theme that "encapsulates the spirit of Cadillac in just a very short phrase that hopefully lasts as long as 'The Ultimate Driving Machine' for BMW." The ads are the first evidence of Johan de Nysschen's vision. Ellinghaus, who held top marketing posts at BMW and luxury pen maker Montblanc before coming to General Motors, said the work represented "a very quick turnaround" by Publicis, which was hired as Cadillac's main agency in December. He said Cadillac was drawn to the agency in part because of its success in "rejuvenating traditional luxury brands for a more contemporary appeal," including jewelry and watch maker Cartier. 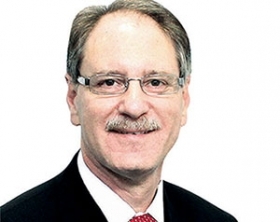 Jim Sanfilippo, an independent marketing consultant and former executive at ad agencies for Ford and Hyundai, likes the symbolic tie to Roosevelt, even if that connection is lost on most viewers. "It makes sense for Cadillac to emulate a persona of a guy who had incredible energy and didn't see much in the way of limitations," Sanfilippo says. "Cadillac is saying that it's not going to be bashful about doing some ostentatious things. It gives them a lot of upward space to grow into." He added that it will take many years for Cadillac to rebuild its image to the point where BMW and Mercedes-Benz loyalists will take a look, regardless of the quality of its vehicles. "The communications around this must consistently be better than the actual products," he says. "That's a tall order."